Organic instant medium roast Arabica coffee is an intense and toasty blend with a rich aroma ans a clean finish. 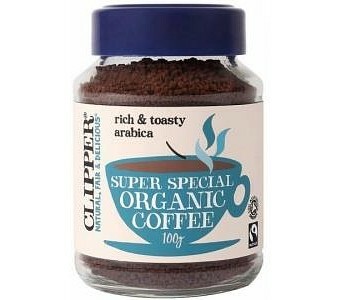 Freeze dried without harmful chemicals, this coffee achieves an instant smooth richness. The Fairtrade certification icon is your independent guarantee that this product has been certified in accordance with International Fairtrade standards. Ingredients: Organic arabica coffee. Certified to International Fairtrade standards.